Euro – Essentials is a wholesale spa product provider with over a decade of experience in the field. We provide an exciting and fulfilling work environment and look for motivated and enthusiastic individuals to join our team. Responsible for the ongoing success and development of potential, new and existing clients, providing outstanding support and customer service both, on the road as well as in-house. Drives and meets sales targets in assigned territories. Opens and services own portfolio of accounts. Works closely with other departments in order to ensure result in the field. Providing timely reports including calendar activities, sales calls, etc. 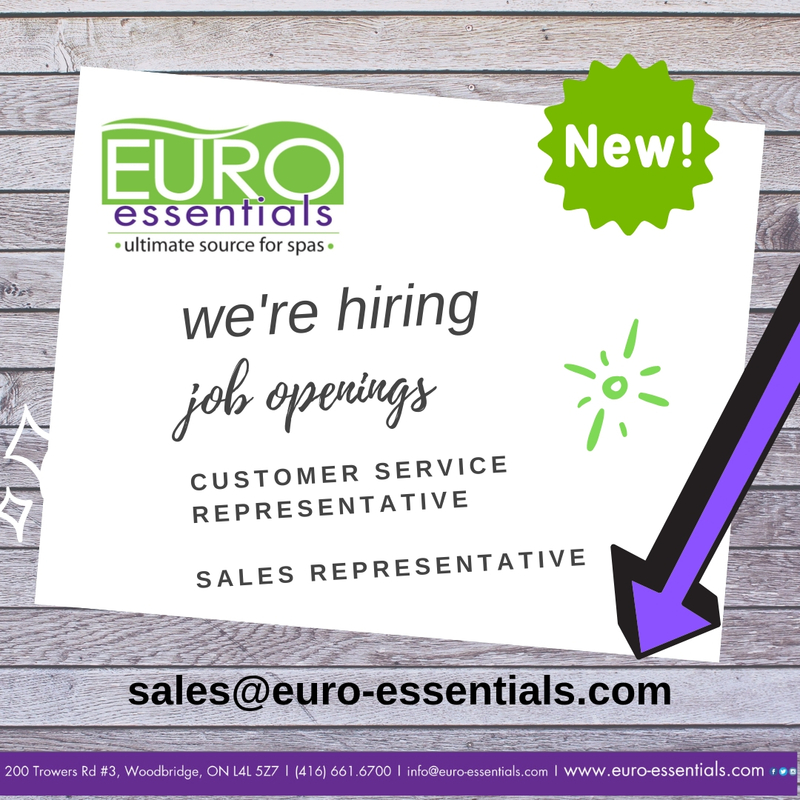 Ideally, you have two years of field sales experience (preferably in the professional salon/spa environment) and a proven track record in prospecting and opening new accounts. You must be self motivated, organized and have excellent time management skills. You are charismatic, self-motivated, driven by results and computer savvy. You have great communication skills along with a strong work ethic. Above all, you have a love for our industry.